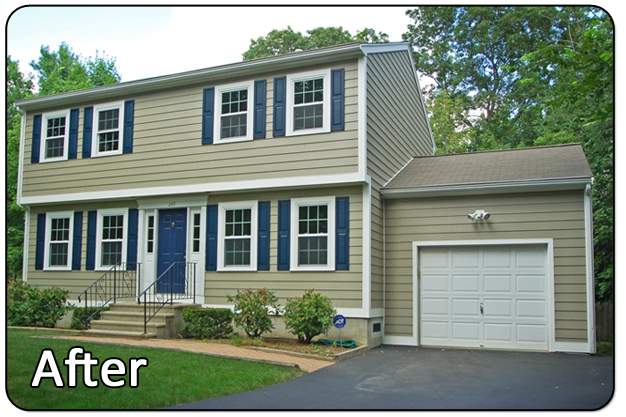 These homeowners were in search of a siding contractor in Lincoln, RI when they came across Everlast Composite Siding. Originally they were interested in installing vinyl siding because they knew no other option, but once they were introduced to Everlast, they were convinced that Everlast was the right decision. All of their siding required removal, their old cedar shingles and clapboards were peeling and were rotting. We replaced all of their windows as well, while cutting an opening for a back door entry. The end result was a beautiful Misty Taupe Everlast Composite that brought incredible value to the home. 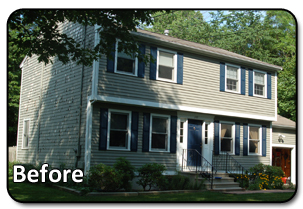 Not only did it add value to the home, the homeowners were ecstatic with the new look of their home! Palmer, MA - A beautiful town that has so many things to do within the surrounding area. One of the most sought..
Wayland, MA - A beautiful town that has so many things to do. If you're a nature person, you can walk around the..